Posted on 22, April 2016 by EuropaWire PR Editors | This entry was posted in Defence, Technology, United Kingdom and tagged BMT, BMT Defence Services, ITEC 2016 conference, next generation training solution. Bookmark the permalink. Teddington, UK, 22-Apr-2016 — /EuropaWire/ — BMT Defence Services (BMT), a subsidiary of BMT Group Ltd, is set to launch its next generation training solution at the upcoming ITEC 2016 conference, which takes place at London’s ExCeL between 17th – 19th May. 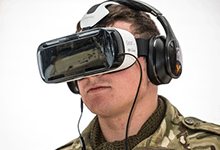 From developing high fidelity immersive Virtual Reality (VR), through to making sense of complex big data challenges, BMT’s software development team will be on hand to discuss the latest technologies and methodologies it is using to create innovative training solutions within the defence market. Services comments: “ITEC offers a unique opportunity for us to engage with key stakeholders across the spectrum of training, education, modelling and simulation and demonstrate our capabilities and the value we can offer to the market. BMT’s next generation training solution will be unveiled at the show where visitors to the stand will have the opportunity to demo the new platform.